Are you finally ready to come and learn French with us on Reunion Island? Now you just need to find the ideal place where to drop off your baggages during your stay. Our team is at your disposal to help you find your temporary “Sweet home”. 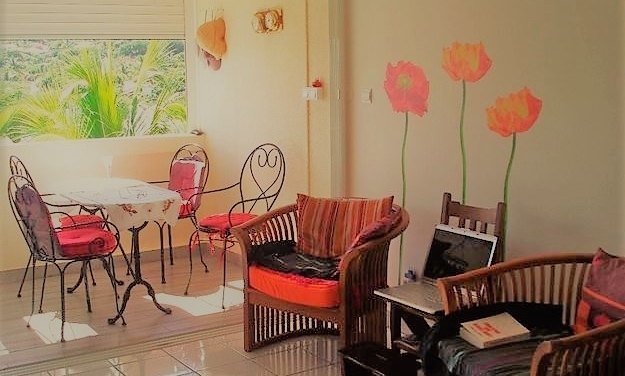 We want you to stay in a comfortable, secured and cozy place that will allow you to follow your French training in the best conditions possible. A place of well-being and relief, easily accessible and in the surrounings of our language school. A stay in one of our carefully selected host families is the perfect way to get the full immersion into the French and local culture. Everything you learn during our classes can be practiced with the family members and their friends. 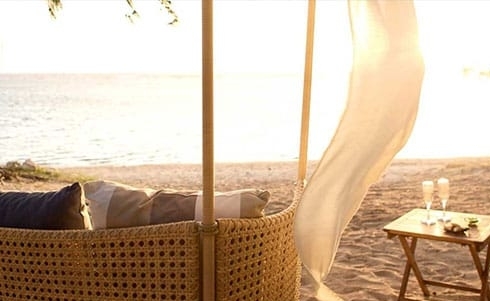 You will live unforgettable moments and discover the tropical family life on Reunion Island. For those who are looking for more independence and privacy, we also have different kinds of self-catering apartments in the surroundings of our language school. These cosy and secure flats are ideally located close to the beaches and you can keep your individual habits. 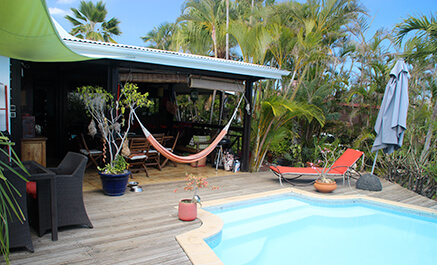 Experience the touristic accommodation offer on Reunion Island in one of the nice hotels or Bed & Breakfasts in the seaside resort of Saint Gilles les Bains.